Dragon Ball Z is a bit of an oddity of my life. While I think of myself as a huge fan of the Akira Toriyama anime and manga, I never pursued watching the entire series. The furthest I’ve watched would be the middle part of Vegeta/Saiyan Saga. Oh, I’m familiar with the other story lines and I’ve viewed small snippets of Cell Games and Majinn Buu episodes. I’ve also watched a lot of the OVAs over the years. I do love the frantic fighting and over the top action the show had so I do have more of a passing interest with the show. So when they announced that a new Dragon Ball Z movie/OVA was being released, I was stoked. And I just did, thanks to the magic of YouTube! I would post a link to the video if I could but, unfortunately, they already took it down. But since I did get to watch it, I’d like to give my impressions and thoughts on Dragon Ball Z: Battle of the Gods! This review will be SPOILER FREE and I will be reviewing the fansubbed version. This means that the copy I watched was in the original Japanese voice dub with subtitles. Anyway, on with the review. Dragon Ball Z: Battle of the Gods takes place before the 10 year time jump shown in the last episode of the show. So this is pretty much a nostalgic send off for fans. They don’t waste much time with setting up of a plot. Basically, The God of Destruction, Beerus, wakes up from a long sleep and finds out that someone defeated Frieza. Always looking for a challenge, Beerus and his trusty assistant, Whis, search for the ones that defeated Frieza. It’s a very barebones plot but fans didn’t really watch the show for Shakespearean storytelling. No, we mostly came to watch the fights. And the fights are very well executed. Deftly mixing traditional animation techniques with CGI, the always dynamic fighting angles of a Dragon Ball Z battle is taken to new heights in this movie. But when it came to the final fight/action sequence, they go all out, waging an awesome 15 minute fight sequence. The fighting didn’t disappoint. The pacing altogether is a different story altogether. The film moves incredibly slow at time, especially when they focus on a trio of characters returning from the original Dragon Ball series (the one where Goku was still 10 years old). It was kind of nice to see them and was a nice bit of fan service but, if they took them out of the film, it wouldn’t have mattered. Speaking of the characters, it’s definitely a good feeling to see Son Goku and the whole gang back for one more action packed film. Seeing adult Gohan, Goten and Trunks brought back memories of the second Broly movie. But the person/Saiyan that steals the show, in my opinion is Vegeta. Fans will remember him as the arrogant prince of Saiyan but, in this film, you can see some personality growth and how he’s softened after living on Earth for so many years. It was a shock to me but a very nice touch. 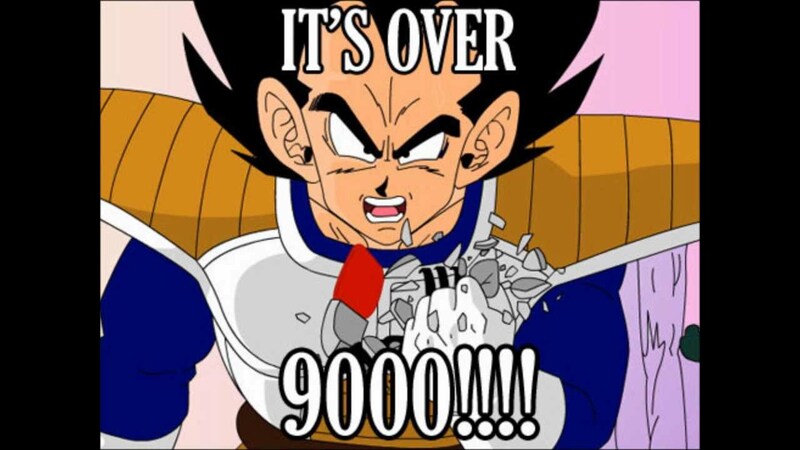 What’s Goku’s power level again? The God of Destruction, Beerus, may take some getting used to. I mean, he is a giant Egyptian cat-like being and all. Thankfully, they made him an extremely likable character and actually very funny! There are scenes with him that I actually laughed out loud! I also like his assistant Whis, who lends a whimsical touch to making sure Beerus stays on track. It’s actually a joy to see them interact with the rest of the previous cast. It’s a little more disappointing the regular characters don’t really get to do much and seem to like window dressing. Honestly, they don’t do much throughout the entire length of the film. Dragon Ball Z: Battle of the Gods is a great love letter to fans of the series. Fans should definitely watch this the first chance they get. Casual fans or those who are unfamiliar with the characters may not get the craziness of the story but I do think they’ll appreciate the creativeness of the fight scenes. It’s a great film and definitely worth a watch even if you’re just a little bit curious of what is all the fuss with Dragon Ball. Have you watched Dragon Ball Z: Battle of the Gods? How does it compare to the other Dragon Ball movies? Leave your thoughts in the comments section below to let me know!